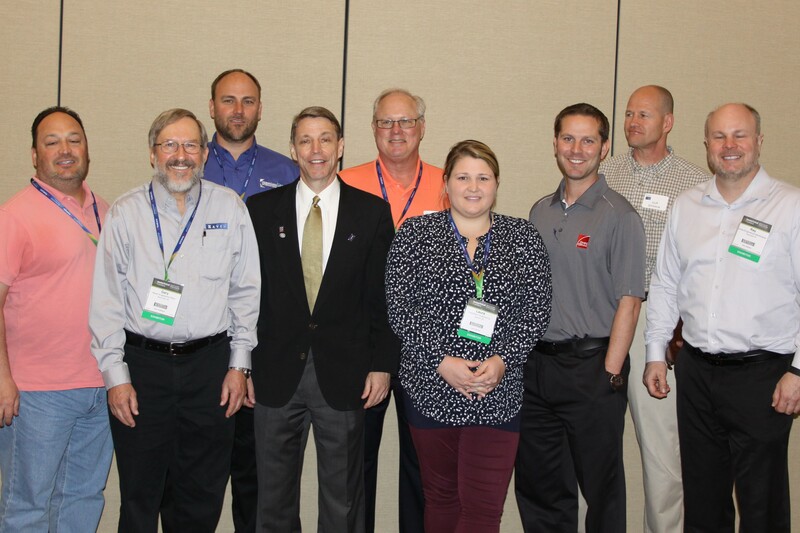 (Urbana, IL, April 25, 2017) The Fabricated Geomembrane Institute (FGI) inducted new Officers and a new Board of Directors during their annual membership meeting in Orlando, Florida on March 13, 2017 at the ASCE Geo-Frontiers Conference. The FGI’s membership meeting was attended by forty-seven (47) people and held in conjunction with the Industrial Fabrics Association International. Before introducing the new Officers and Directors, Timothy D. Stark, FGI Technical Director and Professor of Civil Engineering at the University of Illinois at Urbana-Champaign, acknowledged the service of the outgoing Officers and Board Members: Marlyn Waltner (Intertape Polymer Group, Sioux Falls, South Dakota), Jeremiah Boorsma (Accugeo, Bakersfield, California), and Dave McLaury (DemTech, Placerville, California). In particular, Tim recognized the FGI’s outgoing President, Andrew Mills (Layfield Group, Edmonton, Alberta, Canada), for his instrumental ideas and initiatives for launching the FGI and establishing the successful membership and dues structure. Tim presented Andrew with a plaque in recognition of his service as the FGI President for three consecutive terms, i.e., six years.